Eastlake High School strives to provide dynamic and engaging instruction in every class, every day. Teachers challenge students to learn, while supporting them in this process through a personalized and inspiring culture. 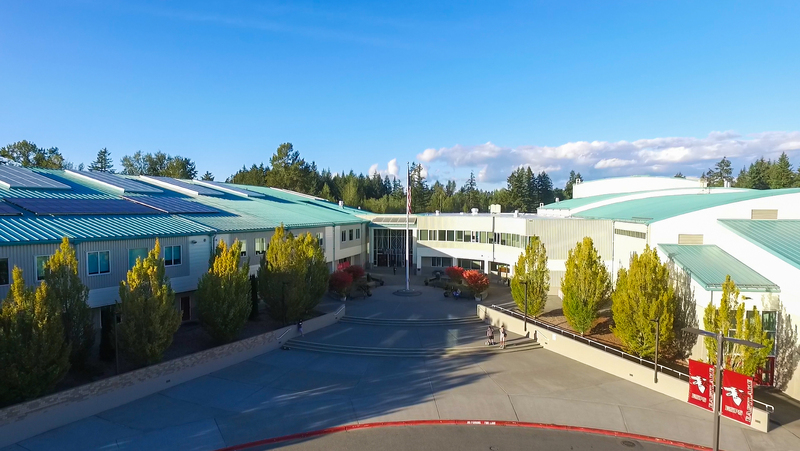 Students can take advantage of Honors, Advanced Placement, University of Washington in the High School and CTE Dual Credit (earning community college credit while enrolled in classes at Eastlake High School) classes. They can also access full or part-time Running Start (dual enrollment program where college courses are taken at local community colleges) or WANIC (Washington Network for Innovative Careers) classes, offered on multiple campuses. High school schedules typically consist of seven 50-minute periods. Eastlake offers an alternative method. Four days a week, students have 3 or 4 classes that last 90 minutes. On Mondays, the students attend each of their seven classes. This schedule allows students time to process information and reflect on their learning. It also allows teachers to plan lessons and labs that require extended periods of time and focus on complexity and depth. Eastlake has established school systems that personalize education and address the needs of all students. To provide students with the necessary time and support to learn, Eastlake offers student interventions during the school day in Math, Science, Literacy and World Language.